This is a question many homeowners face at least once in their lifetime. Once a beautiful sight, a dream come true, you gradually lose affection for your old home. It could be for genuine reasons. Perhaps the foundation has become weak after surviving several storms and even your foundation expert feels something needs to be done soon. Or, it could be that after serving you for so long (maybe 30+ years), the home just doesn’t fit your lifestyle anymore. What do you do? Do you renovate the existing structure or build a new home? Which would be the smarter decision? There’s really no right or wrong answer here. Rather, it’s up to you to assess the situation and make the best decision. Among other things, you need to evaluate how much the current home means to you. If you’re very attached to the home, then home renovation might be the better option. You also need to consider your budget. Building a new custom home requires a significant investment, but a major home renovation does too. If you aren’t sure of the cost differential between the two, it’s worth having a conversation with your general contractor. Finally, it helps to keep in mind property taxes, the condition of the home, and how much moving to a new location would affect you and your family. Less Costly: Renovation costs are usually lower when compared to building a new home. You can further minimize costs by renovating gradually. Personal touch: You can change the existing home to meet your tastes and needs, all without the high costs of building new. Keep your home: For owners of unique, architectural homes, renovation would also allow you to keep the home. Doesn’t fix major issues: If your home has significant structural issues such as problems with the foundation or cracking walls, renovation won’t usually permanently fix those issues. Inconvenience: A major remodel means that your home will might a shambles for weeks or months. In some cases, you may be forced to seek temporary accommodation elsewhere. New beginnings: You get to start over in a new home, meet new appliances, and settle into a new landscape. Financing options: After buying your first home, getting financing for the second or third home becomes easier. Make a profit: Selling your home when moving might net you a significant return on your earlier investment. 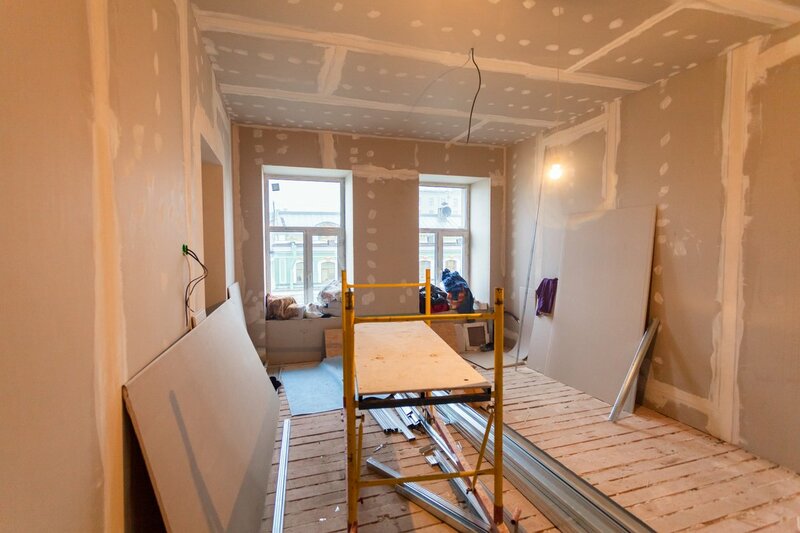 High costs: Compared to home renovation, building from the ground is often a longer, more complicated, and expensive process. Moving disadvantages: Not everyone enjoys moving. After living in your old home for so long, you might be reluctant to shift to a new location. In some localities, land is also limited, so moving might mean a further commute to work or school. Hopefully the pros and cons above are enough to help you make an informed decision. However, this decision is a personal one. There are other things to consider based on your unique needs and lifestyle plans. Alair Homes is here to help. To start a personalized discussion about your needs and goals, contact us today.